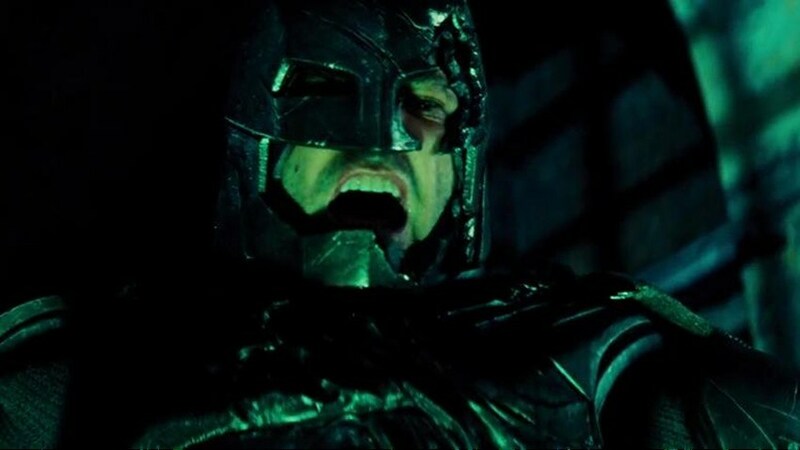 While I think Batman v Superman took more crap than it deserved, there's no denying how dumb one particular scene was. You know the one. Batman has Superman beat, he's about to send him to meet ol' Pa Kent in Heaven, and...."Martha!!!" The "Martha" moment. Supes screams out his mother's name like a punk, and Bats realizes they share that in common. With both of their moms being named Martha, the two heroes reconcile in a matter of moments, Bats realizes the error of his ways, and they run off to fight Doomsday with a little help from Wonder Woman, who is lucky she wasn't named Martha of Themyscira. It's stupid, and even Justice League's Ezra Miller knows it. In the below video, taken from an interview place in Japan, the cast is asked which other hero on the team they'd like to play. Miller, deciding to have some fun with the question, manages to work in a jab at the "Martha" scene, which is great if you ask me. It deserves to be ridiculed. Martha! Martha! #JusticeLeague (Vid Pt 03) #UniteTheLeague #dcfilms #dccomics #JoinTheLeague #dccinematicuniverse #Batman #WonderWoman #TheFlash #Aquaman #Cyborg #EzraMiller #BenAffleck #HenryCavill #GalGadot #BenAffleck #JasonMomoa #Superman #ManofSteel #BatmanvSuperman #SuicideSquad #Shazam #heroic_gateway @heroic.gateway - . . . . . -Make Sure to Give this Post a LIKE and be so kindly Leave your thoughts and comments below. Make sure to Turn on Posts Notification for more awesome updates.